Now and then I read complaints about perfumes cost, especially when it comes to the subject of packaging. At some point I was one of those people. I won’t spend time now looking for comments I might have made a year or two ago but I remember having thoughts along the line “those stupid bottles and boxes” and “who needs them”. But since then I considered different aspects of it and I’ve changed my mind. Perfume isn’t a necessity: it’s a luxury item. There are many other luxury goods out there – shoes, bags, clothes, jewelry, cars and yachts to name but a few. Most of us cannot afford most of those things and we accept that. So why do we get angry when a luxury perfume brand, which positions itself as such, pours perfumes in handmade glass bottles, makes special tops for them or puts them into nice wooden boxes and then charges accordingly? 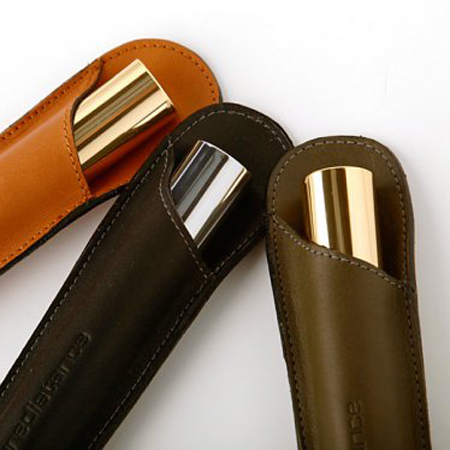 People are buying designer clothes for their pets – why not to buy a nice display stand or a quality travel case for your favorite expensive perfume? People buy useless figurines and decorative boxes for their dressers – why not to adorn vanity tables with a collectible bottle stopper or a beautiful lacquered perfume box? And as long as there are people who are willing to pay for those special items why not to create them and sell? As much as we, perfumistas, would love to have in our collections every perfume that attracted our attention we know it’s not possible – even if all of them were in the discount stores’ price range. So why do we get cranky if we cannot afford or justify for ourselves buying an expensive bottle of perfume, especially when perfume itself is available in the refill container? Is it because, after all, juice isn’t the only thing that matters and we do want to get a nice(r) bottle but are not ready to pay extra for it? Have you ever heard from any perfumista “I love this perfume, it is my absolute favorite but it’s too expensive and I cannot afford it”? I haven’t. I think it’s because perfume is a luxury item. You do not go into collecting luxury items if you have no discretionary income. And if you have any you can choose on what to spend it. If you find a perfume that you love – absolutely, unconditionally and forever – you’ll be able to buy it eventually with money saved by not buying other bottles, samples and decants. And if you do not love it leave it – in all its nicety and glorious packaging – to those who do or have a bigger budget for “nice to have” items. At the same time I constantly read about cheap looking and poorly made bottles. Many reviewers are wishing for a better correlation between a quality of a scent, its price and presentation. So where is the golden mean? I think I agree with you. We Perfumistas think we “need” perfume and lots of it, so we are a slightly different kind of consumer group. We buy not one or two luxurious perfumes, but many, many more and then we start moaning about the price. Like you, I have stopped doing that (at least most of the time), if I want it, and I can afford it, I will get it, whether it is a “good deal” or not. Those good deals end up being anything but in most cases anyway. A great perfume deserves a great vessel. I appreciate that some companies offer packaging options or refills. But in the end I’m always regretting getting the cheaper version. I’d love to own a Kilian bottle and box of Amber Oud instead of the refill, I believe I’d use it more. I’d adore it if my Péché Cardinal came with a bust top to proudly display it on my dresser. Would I like my Puredistance I more when I had a crystal column? Probably not, but would I like one? Sure, but it is just not in my budget, and therefore I’m glad Puredistance gives me the option to enjoy their offerings anyway. But if I wore only that one perfume, as many people do, I might just go for the ultra-luxe packaging, to give my scent the home that showcases its special-ness, its importance to me. Just looking at my La Femme Bleue in its gorgeous housing makes me happy. On the other hand, if I hate the bottle, I have no problem forgoing to buy this particular scent. If that makes me shallow, so be it. Perfume is more than just the juice, I want the entire package (and a pretty one at that). B, thanks for honestly admitting you’d use some perfume more if you had it in the full presentation. I feel exactly the same way. It just makes the whole experience more enticing and enjoyable. Birgit, I loved your comment! Thank you for adding your thoughts on the subject. YAY Undina! I love a good hefty bottle. The packaging I don’t really care about but bottle. YUM!! Yeah, usually I do not care for the box itself – as long as it’s there: I prefer storring my perfumes in original boxes. I totally agree with you. Perfume is a luxury and most of perfumistas have good and artistic taste and a bottle design also has a matter in chosing a scent I think. If you want something to smell fabulous and look good on the shelf you just need to pay for it a little (or more than a little) more than usually. In my pre-perfumista years on more than one occasion I passed on testing a perfume (mainstream) because I didn’t like the bottle. I still have those tendencies but I try to be more open-minded. It’s good to be open minded, isn’t it? $200 for 50 ml isn’t that outrageous for the current high-end perfume sector. I won’t go around buying too many FBs at that price level (well, at any price level o that matter since I’m trying to limit my FB collection) but if I like the perfume I will eventually get a bottle. I’m not sure yet what is my price limit for the perfume (regardless of the bottle). I’m trying to figure out how much I’d pay for one of my most favorite perfumes but I can’t since I have them already and know how much they cost. Such a wonderful and interesting Undina! I agree that perfume is about the whole experience. The bottle and packaging are all part of it and it’s up to me to weigh the cost against what I’ll be gaining. Of course, I do think some perfume is aspirationally priced with little to back it up, but then I don’t buy that stuff! It all comes down to personal choice. It’s such a good reminder that perfume is a luxury item. I think part of the reason I love it so is because I don’t need it. I’m spoiling myself and it’s taken me a long time to think I’m even worth spoiling (oh dear, getting a bit heavy!). I have also thought for a long time that many people collect things that are expensive and have no real “use”. I think the fact that you wear perfume can back-fire though because then people don’t see why you “need” that much. Well done for hitting a nerve with this post! Oh, Tara, I’m happy that you find me “wonderful and interesting” :) Kidding. We all are worth spoiling a little (if reality permits) and perfumes are a very good way of achieving the purpose. I compare collecting perfumes to collecting wines or whiskey. Then it sounds much better: you can have your perfume and eat wear it too. You have hit a nerve here. I notice that I pout a bit about my favorite houses putting their perfumes in cheap or ugly bottles and packaging- guilty parties include Hilde Soliani or Parfums de Nicolai- and really like the beautiful bee bottles I have for my LE Guerlains. Considering the mark ups on most scent now, a nice presentation, even a lovely one, does not seem like an unreasonable expectation from a buyer. I completely agree. It upsets me when bottles are ugly. Not every brand/perfume has to make elaborate/original/state of the art bottles for their perfumes but even for a $70 perfume don’t dare to use a cheap 70c “Made in China” plastic dreck. There is a limit to the amount of money I would pay for perfume and it is very personal and closely related to the amount of money I make. But when it comes to expensive packaging I have a very clear view. 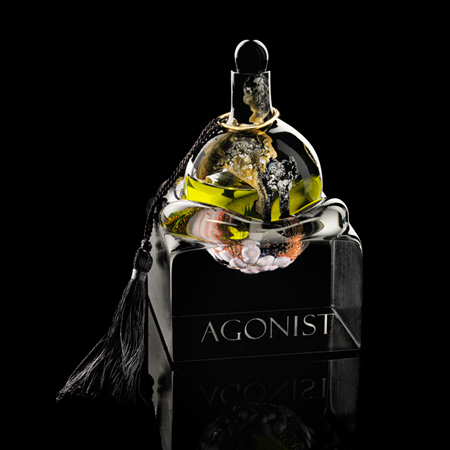 The Agonist bottles are beautiful and they have their own character. I can imagine someone buying them just for the bottle and not giving a damn about the perfume (If you are reading this and you are one of those people can I please have the contents?). Lalique crystal bottles, especially Encre Noire, easily fit in this category as well. By Kilian and Puredistance packaging is beautiful but for me they have some sort of vulgarity in them because they look and feel expensive without having something new to add to the aesthetics. It would take something else to justify paying extra for the packaging. I still think that Serge Lutens bell bottles are simple, elegant, beautiful, evocative and they look fabulous when they are clustered together. I understand your position on By Kilian’s and Puredistance’s packaging: you draw a line where a bottle is some type of an art object, not just a vessel for the perfume. I just want to bring up the difference in prices: Agonist, Lalique and other brands charge much more for their bottles than those brands with just more expensive packaging. Olfactoria beat me to it – I was just about to say “a very thought-provoking” post too! 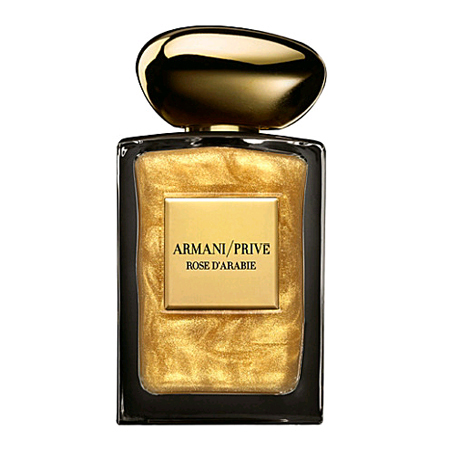 I do agree that perfume is as legitimate a category of luxury goods as any other, and as the saying goes: “if you don’t like the gold plated, Swarovski encrusted bling, get out of The Haute Parfumerie in Harrods”. I do like a bit of a nod towards luxury packaging without feeling a need to own anything too opulent. The likes of Ormonde Jayne or PG are probably the upper end of my “fancy” comfort zone. I was thinking this exact same thing the other day regarding fanciness and affordability. On a similar note, I’ve wanted to hold that Agonist bottle featured in your post–I don’t think I’d want to own it, but just actually seeing it in person would be nice enough. I’ve even sampled the juice inside, and the perfume wasn’t really my thing. But that bottle. Heck, at this point, I would settle for even handling it a little because there’s something very attractive about the thing. I’d really want to see that bottle. I hope it is as nice in RL as it is on picture. I wouldn’t mind testing the perfume as well but I assume it’s not spectaclar – otherwise I’d have read more about it, expensive or not. 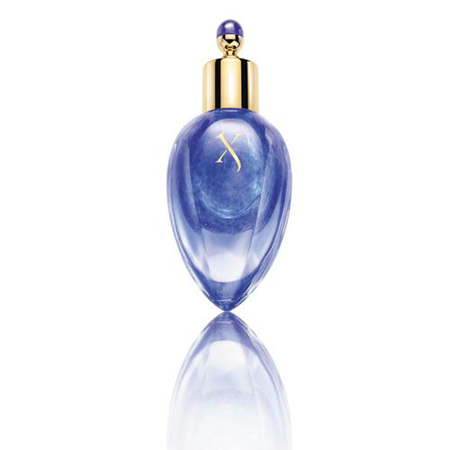 A big price tag on a work-of-genius perfume inside the most exquisite, artistic bottle nestled in pure silk…. this does not seem illogical to me. But cheap perfumes in expensive bottles (and conversely, expensive perfumes in cheap bottles) tend to get my goat. :P It triggers some kind of cognitive dissonance in me that’s like an annoying internal car alarm. I agree!!! Perfumes and their presentation should be in harmony. Thank you, Lanier. It’s very nice of you to say that. You expressed my sentiments to a T. Perfume is a luxury item, period, and I always found it surprising that when By Kilian came on the scene, people complained about his beautiful packaging because it made the perfume so expensive. 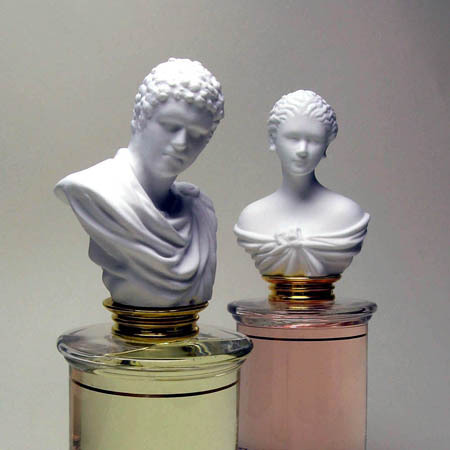 I have absolutely no qualms with a company wanting to express a certain aesthetic and to market their perfumes towards a segment of the population that shares that aesthetic. Sure, not everyone will be able to afford it, but the world would be a place devoid of dreams and beauty if companies had to follow a requisite whereby they had to produce a product in a way that would make it affordable to the largest segment of the population. Also, as you pointed out, most of us who buy perfume have discretionary income, and if we fall head over heels in love with a certain perfume that goes above our usual spending limit, we can simply make a plan to scrimp and save until we can afford that item. Whenever I do that, it makes the perfume I purchase in the end all the more appreciated and meaningful because I had to earn it … and I rather like that. Sometimes I have a feeling that some perfume is nice and I wouldn’t mind wearing it from time to time but it’s not special enough to justify the price (for me). For example, that’s how I feel about By Kilian Asian Tales: I like both scents but they are too expensive for my budget for what I get from them. For these I wish I could buy them cheaper, maybe in a plain(er) bottle but I still think it was a good idea to release them the way they did. Chiming in as a frugal perfumista here, I find myself of two minds about the issue of the bottle and packaging. I’m very aware that perfume is a luxury; all it takes is to walk into the Hermès boutique in Holt Renfrew to realize this is NOT my world. So who I am to begrudge a gorgeous bottle for those who don’t blink an eye at the price of a Hermès leather belt? Still, I really appreciate it when the more affordable packaging is offered as well, for the very selfish reason that it’s less time I have to save up for it. I don’t think that everybody collects something. I also know many people who do not accumulate anything (we won’t count regular books, music or movies, right?). But then they have some other hobbies – biking, dancing, shooting, sailing, golf, etc. Any of these also require a lot of investments. So as long as we’re not condemning spending money on anything other than bare necessities perfume hobby is no better but also no worse than many other hobbies. Nope, not condemning at all, just noting a trend I sometimes see in these discussions. I am a big believer in the value of “enough,” which is I think essential in finding contentment, but I also don’t think one-size-fits-all. Just thinking out loud here, Undina. :) Great post! Just in case it wasn’t clear: I wasn’t arguing with your points, just talking them through. I was also thinking about all that for a while. I never through away boxes. On a couple of occasions I paid more to get a bottle in a retail box instead of a plain tester box (with the identical bottle). I will fully admit that my perfume tastes run a little high on the cost side but first and foremost the contents of the bottle have to reach me on such a deep level emotionally that cost becomes less of an issue for me. I have no room for “likes”, only loves, in my collection. Which results in a tiny but well curated perfume wardrobe. So, if I pay for 1 bottle what others would pay for 5, I am ok with that. I will scrimp and save to purchase it because I know that the “place” the fragrance takes me is worth the price tag. It’s a very wise attitude. I’m trying to slow down and go only for loves but sometimes today’s “want” takes over. I’ll learn with time. I hope. Great post, Undina! I am coming to this a little late, but I agree with so many of the above commenters. Perfume is a luxury product, but sometimes it baffles me what people will spend money on and what they won’t. Like $175 pairs of jeans. But if you love something, I think that you always find a way. And if you have to scrimp and save, having a beautiful container that feels luxurious is part of the whole experience. Thank you! On my blog nobody is ever late (well, unless I asked for some advice on an upcoming event that already passed). Every time I see in a print ad brochure sent by Nordstrom, Neiman Marcus, etc. a t-shirt or a simple cotton top that costs $300+ I have to remind myself that it has nothing to do with an actual cost or quality of those things – their prices just start on a shifted scale where axes cross not at (0,0). I agree, I will sacrifice almost anything in favor of spending on perfume – except I will pay $175 for jeans if they have impeccable fit because I wear them for years. I’m tall and not a common size, so I often don’t have a lot of options. But I digress… Yes, the bottle can totally throw me off. I bought Juicy Couture because I love tuberose. But I could not get past the ridiculous bottle, it looked cheap, so I couldn’t help but feel like the scent smelled cheap. I actually close my eyes to spray my Le Tempts de un Fete. If there is a perfume I fall in love with that is way beyond my price range, I save a little and convince the hubby that his contribution to my latest obsession will be the next holiday’s gift. I started a post about collecting perfume being a luxury hobby about a year ago, but yours is much better. I think this is perhaps the best blog post I’ve read about bottles. We do, many of us, care about them, even when they’re not the reason we buy the perfume; they are part of a luxury experience that we’re lucky enough to be able to buy. Few of my bottles are particularly worth looking at, even of particularly hard to acquire perfumes, but even I would agree with you completely: the experience of the container we buy certainly is part of the experience of perfume. Witness the fact that even with my truly excellent vintage Chanel No. 5 extrait, I still want to buy another bottle at some point, just to have some *in the bottle*. That classic square Chanel bottle. It’s part of the experience even when it isn’t particularly artistic or luxurious. Thank you for your kind words, J! There are perfumes that I’m more than content with in decant bottles. Usually those are for perfumes I just want to wear for a while but do not love enough to want in my collection. But then there are scents that I just want to have a bottle of – even though I might never go through it completely. But the feeling of applying beautiful perfume from a beautiful bottle is just great. I was on vacation and am going back through some blog posts… I agree with you on the whole. One of the reasons I haven’t really pursued decants is that I love the luxury of beautiful bottles. I don’t get quite the feeling of glamour and luxury when I spray from a decant! Now, I do have a few decants, mostly of discontinued things that would be hard to get otherwise. But if I buy a sample and like something, I am never telling myself “well I like this maybe not enough for a full bottle, but enough for a decant.” Because I feel if I get the decant A) I won’t wear it as much and B) I should save my money for the perfumes I really love and I should get those in luxurious full bottles. Now, there are some lines where I think the limited-edition-crystal-infused-with-moon-rocks-and-then-breathed-on-by-the-pope bottles inflates the cost so high to a point where I don’t even care to sample the scent, because I would barely be able to afford a decant, much less a bottle! (Some of the brands pictured in your post are culprits.) I also suspect that some of these brands have nicer bottles than they do perfumes, if you get my drift. I am at the point of my hobby where I buy only splits – either instead of samples (5 ml decant at cost is usually not much more expensive than a 1.5-2 ml sample from a decanter site) or for perfumes for which I do not want to get a bottle because I never invision going through it. Perfumes that I love or like a lot I want with the complete experience – a bottle, a box and even a cellophane wrap. As someone who’s as likely to spend $175 on jeans as I am on perfume, I’ve noticed that there is at least some correlation between price and quality on most things. Although since people aren’t taught to value scent as much as sight, it makes sense that manufacturers can get away with hawking crappy perfume in lovely bottles or pretty clothes that fall apart more than they can get away with selling yachts that don’t work. Maybe that’s because society considers it frivolous to spend $$$ on things that simply make people look or smell good without having as much social value as a yacht. But that’s the point of perfume blogs: ascribing personal meaning to smelling good. Perfumes are really close to be an intengible goods. “Smelling good” is probably even more subjective than looking good. Even expensive perfume isn’t a status symbol or a fashion statement. So putting it into the expensive container helps to improve a perceived value of the fragrance. I agree that in many cases there is a correlation between price and quality. I just think that, in general, there are too many things that are not as good as they are expensive and there are a lot of things that are of a very poor quality even for their low price. I’ve bought a few perfume bottles because I fell in love with the bottle and the juice is just meh or plain nasty. I have also bought 2 of the same bottle, one to preserve in unopened original packaging and the other to include in my rotation (and I’ve done this for Swatch watches – thank goodness I outgrew this rather quickly). Coach First Fragrance which came in the multi-color “C” bottles and the little coach tag around the neck of the bottle…nowadays the coach tag is just painted on the bottle – boring! Hey. I totally understand where you are coming from. I’m a perfumer myself and I’m thinking of starting a line which is affordable luxury. I know so many people who aren’t willing to pay 60+ tax for a good perfume which has quality production and lasting fragrance. What do you think? Is there a good consumer market for this range between $30-40? There is a consumer market for perfumes in any price range – so good luck with your line!